It’s finally here. 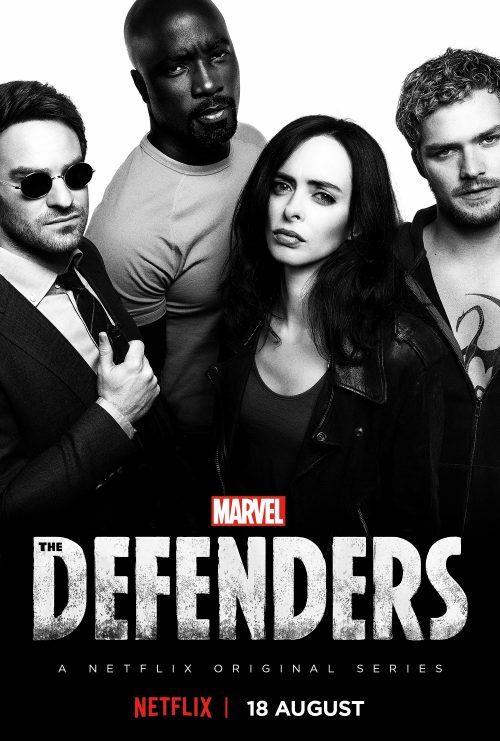 The poster for Marvel’s The Defenders. It shows all the heroes together. Will they manage to save New York every episode? Marvel’s The Defenders follows Matt Murdock / Daredevil, Jessica Jones, Luke Cage and Danny Rand / Iron Fist, a quartet of singular heroes with one common goal – to save New York City. This is the story of four solitary figures, burdened with their own personal challenges, who realize they just might be stronger when teamed together.